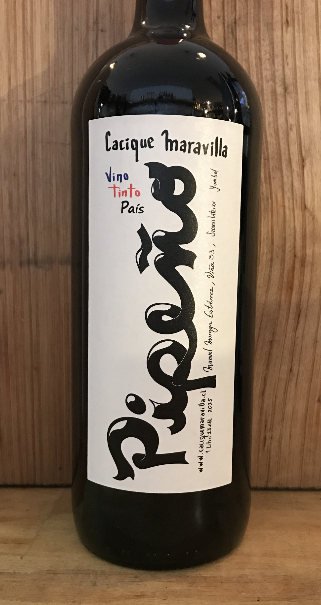 2016 Cacique Maravilla Pipeño Pais 1LT, Bio Bio Valley-Chile. Despite being first drawn to the producer because of his extraordinary moustache that he informed me has been carried on from generation to generation, the wine was simply gobsmacking. A natural 7th generation producer, this wine is bright, crunchy and simply delicious. An extraordinary wine with an extraordinary history. Varietal = 100% Pais.